With the recent mascarade with Kimye, her beef with Katy Perry and her break with Tom Hiddleston (which she hooked up within weeks of her break from with Calvin Harris), Taylor Swift is not very popular right now. Or rather, popular for the wrong reasons. 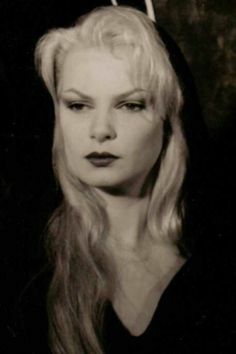 According to Daily Mail, gossips are currently circulating as the 26-year old singer bears an uncanny resemblance to a Satanist Zeena Schreck (picture below). While the light-hearted rumours of Schreck was raised back in 2011 and gained traction in 2013, it has surfaced on the internet once again regaining popularity. 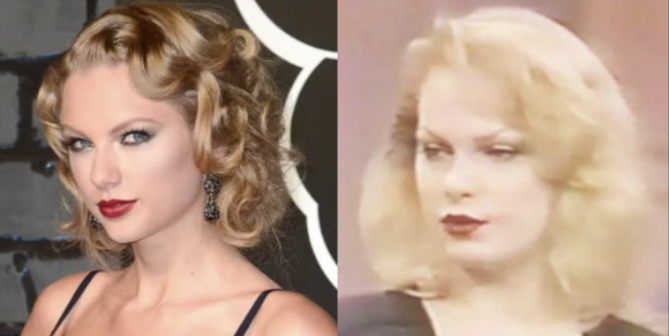 Netizens all around the world are having fun going off at this hilarious theory that Taylor Swift is actually Satanist Leader Zeena Schreck which has gained eternal youth from black magic. Other notions include Taylor Swift being the Satanist’s daughter or even a clone. In 1990, Schreck denounced her allegiance to the hellish church and cut ties with her family. She now resides in Berlin. According to her website, she currently works as a photographer, graphic artist, musician/composer, writer, animal rights activist and religious teacher. That’s fairly normal given her background. Despite the age difference and obvious reasons that Taylor is no way a twin to Schreck, it doesn’t stop haters from indulging in the rumours and going on about crazy conspiracies. So far, speculations are that Schreck had successfully used satanic rituals to retain her youth and live a second life in the embodiment of the Bad Blood singer. Schreck, now 52, was raised by her parents Anton LaVey and Diane Hegarty who founded the Church of Satan. Schreck would then later grow to become a high priest of the church in the 1980’s. Schreck also served as a spokesperson for the formidable organisation under the alias Zeena LaVey and appeared on a few talk shows like a 1990 episode of Sally Jessy Raphael. If not for her dark beliefs, her vampire-pale skin, crimson lips, and her piercing glance will still give you the chills. Taylor who took home 10 Grammy Awards has refused to comment on her resemblance to her “darker twin” or claims of satanic influence in her music.